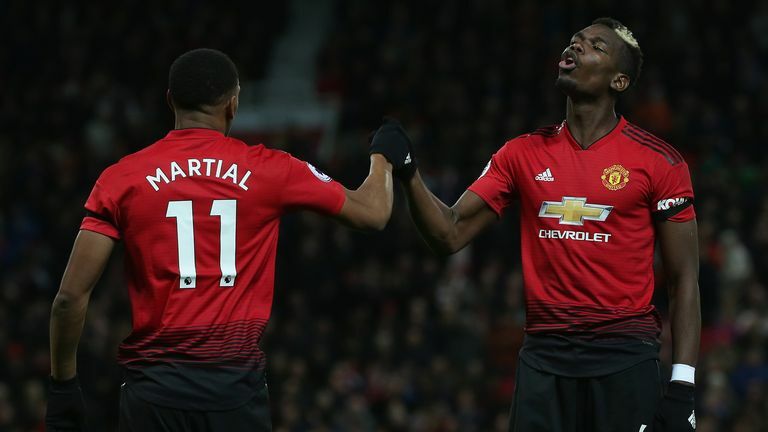 Should Manchester United's penalty against Everton have been given? Graeme Souness and Jamie Redknapp had a lively debate about the decision - with Dermot Gallagher caught in the middle! 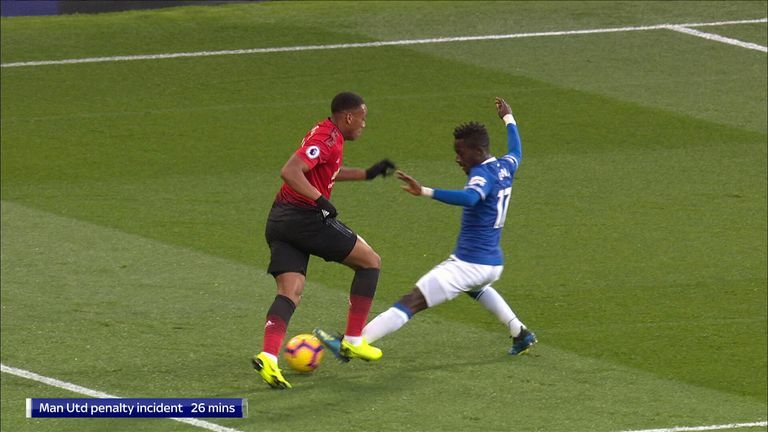 In the 26th minute of the game, referee Jon Moss judged that Idrissa Gueye had fouled Anthony Martial in the area and awarded United the penalty, with Paul Pogba eventually scoring after his initial spot-kick was saved by Jordan Pickford. But replays show that Gueye did touch the ball on the way through, which Souness and Redknapp point to as a reason for the penalty to have not been given. However, the Renault Super Sunday studio got in touch with Ref Watch's Dermot Gallagher - who was watching the game for the Premier League - and he says the penalty should have been given due to the second contact from Gueye. In response to Gallagher, Souness said: "That's his opinion. My opinion is that it isn't. I've been a player and if I'm in that game, on the pitch and as close to incidents like that as you can get, it's not a penalty. "He can think what he wants, I'm sorry. That's my opinion. I played the game for a long time." Redknapp also did not think the penalty should have stood after watching the replays, adding: "They get a huge slice of luck, it's not a penalty for me. "I think the referee sees the ball going forward away from the referee if you like and it hits him on the left knee. There is contact, but Gueye wins the ball first of all. "Personally, I don't think it's a penalty. It's not a great challenge, but it's not a penalty." Hit play on the video above to watch the analysis in full and see what Dermot Gallagher has to say in reply on Ref Watch from 11.30am on Monday live on Sky Sports News.